I love Pilot Iroshizuku. The brand writes amazingly well for me and I’m fond of nearly all the colors. Big love, for sure. 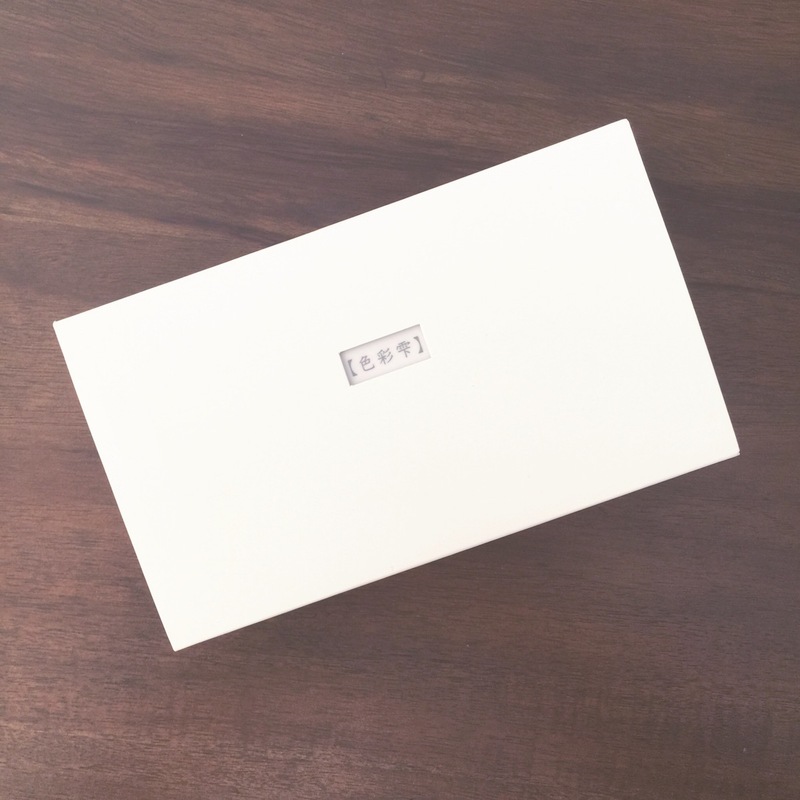 This Pilot Iroshizuku Mini Boxed Set came to me courtesy of Goulet Pens. They made me promise to give my honest opinion in exchange. I had mixed feelings about reviewing this item – I knew I would love at least two of the inks (I already did), but would I love the packaging? You know, probably not – it was most likely just a throwaway. How wrong I was. Removing the thick white paper/cardboard protective sleeve reveals a hard plastic hinged case. The case has a satin finish, beveled edges, and is very sturdy and well-constructed. I’m immediately impressed. Even though Goulet Pens sent the Boxed Set as a freebie, I still got a sucker pop. Score! 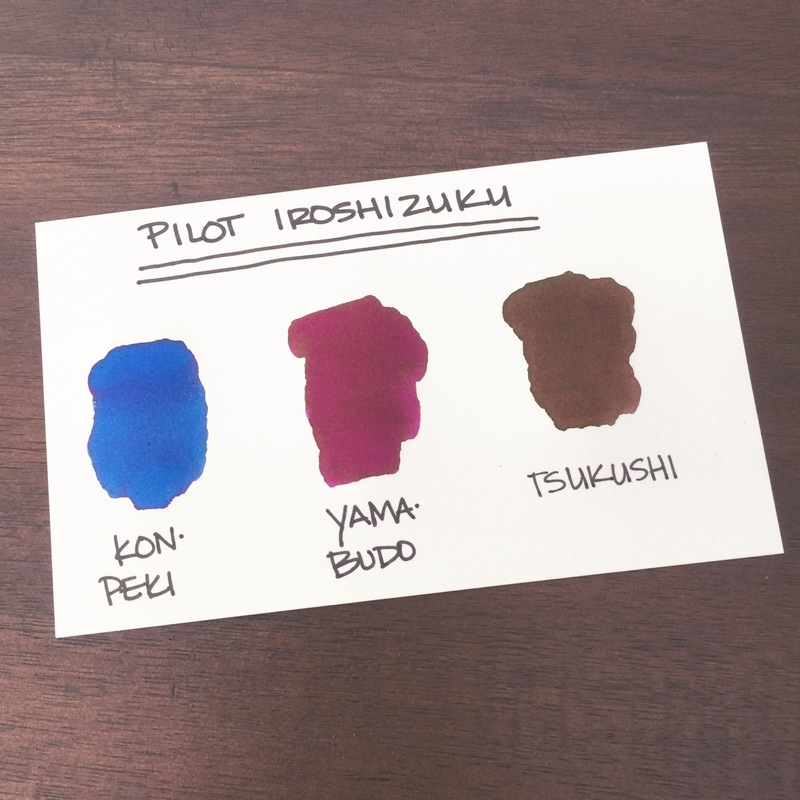 Flipping the lid reveals the three 15ml Pilot Iroshizuku Inks – Kon-peki, Yama-budo, and Tsukushi. And, again, I’m impressed with the box design and padding. 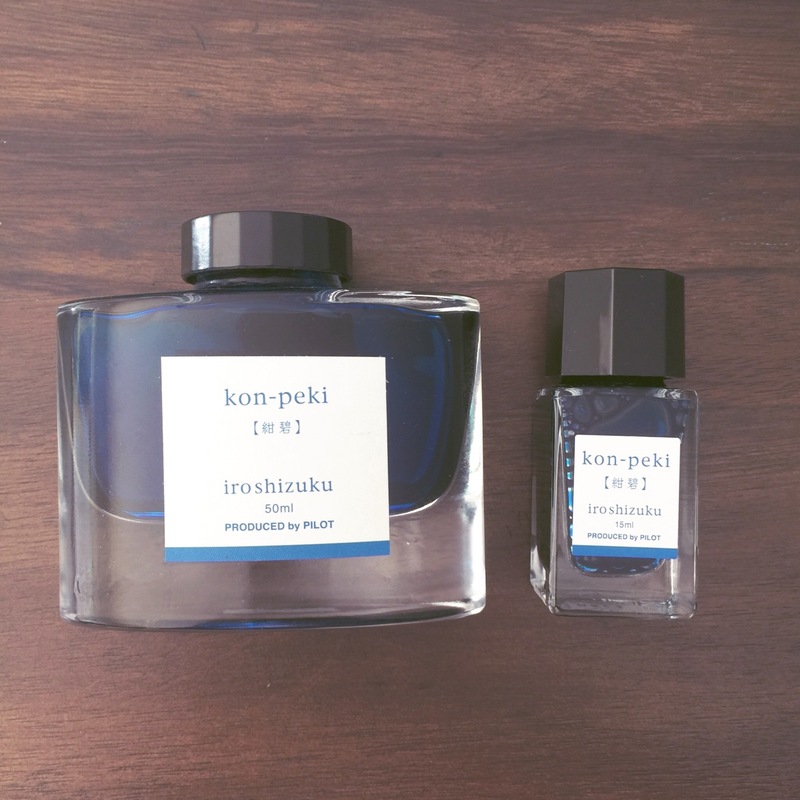 The bottom custom-cut hard foam holds the ink securely in place and the padding on top adds extra protection for the thick glass Pilot Iroshizuku bottles. A wonderful variety of colors. The case is wonderful, but what about the inks? Kon-peki is a beautiful beautiful bright blue. 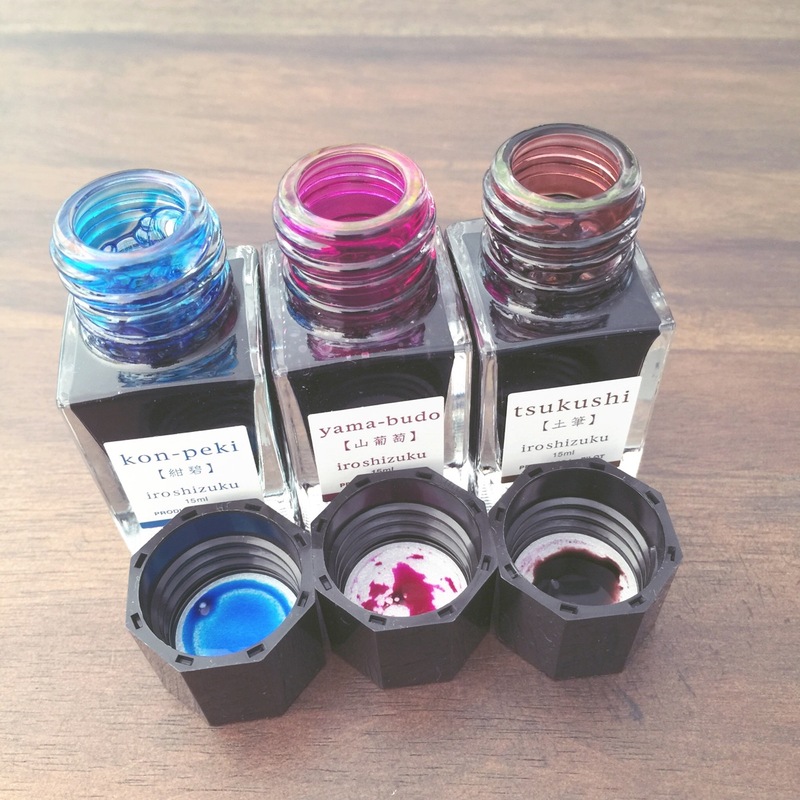 It was one the first inks I reviewed and then I did a fun comparison of it and Pilot Iroshizuku Tsuyu-kusa. Yama-budo is a delicious grape purple ink. I use it regularly and compared it to Noodler’s Black Swan in Australian Roses in this review. It’s become a favorite. 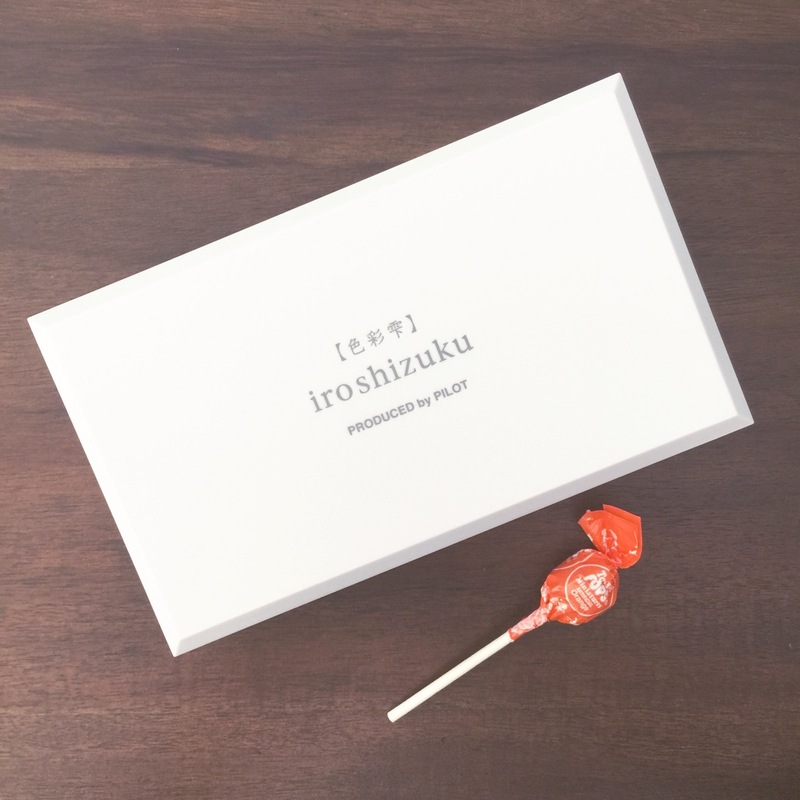 Almost two years ago, I reviewed Tsukushi. I loved the performance, but not the brown color. I swabbed it earlier this year and didn’t think it was so bad, after all. Keep an eye on my Instagram feed this week, I plan to try it again – third time’s the charm? 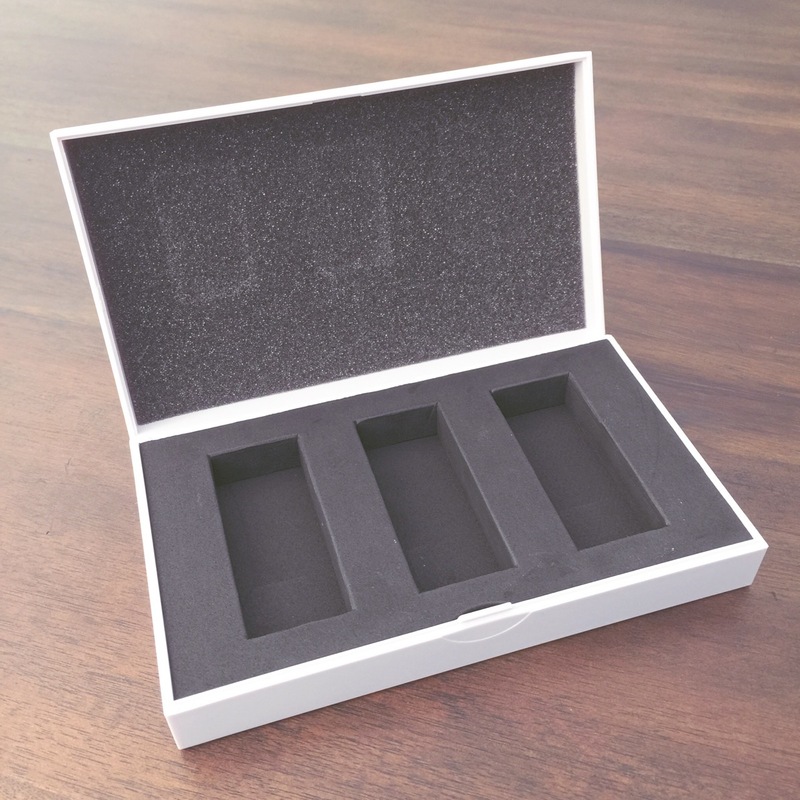 This Boxed Set would make an amazing and thoughtful gift for any fountain pen user. If you’re considering this for yourself, it would definitely protect your bottles while traveling. Are you concerned that 15ml won’t be enough ink? If you’ve found your perfect dream ink, 15ml will never be enough. If you’re like me and change inks as often as you change your nail polish, it could be plenty. 15ml should give you enough ink for at least eight fills – depending on your pen/converter. Let’s talk money for a moment. This set sells for $32 at Goulet Pens. They don’t sell the 15ml bottles individually, but I’ve seen those on other sites for $14 each. Easy math. 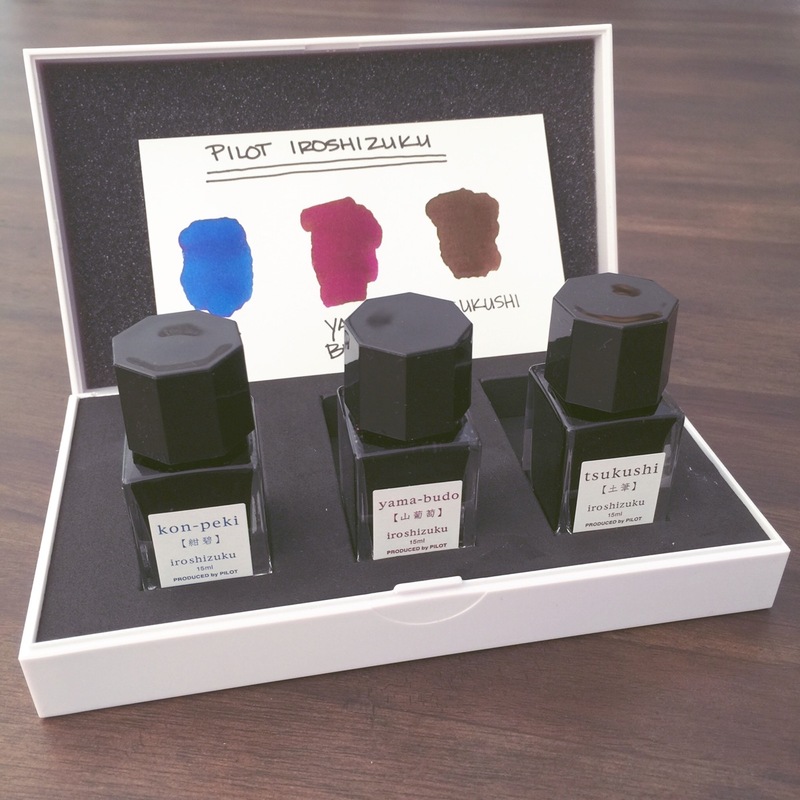 Full-size (50ml) bottles of Pilot Iroshizuku sell for $28 each at Goulet Pens. That amounts to $.56 per ml. 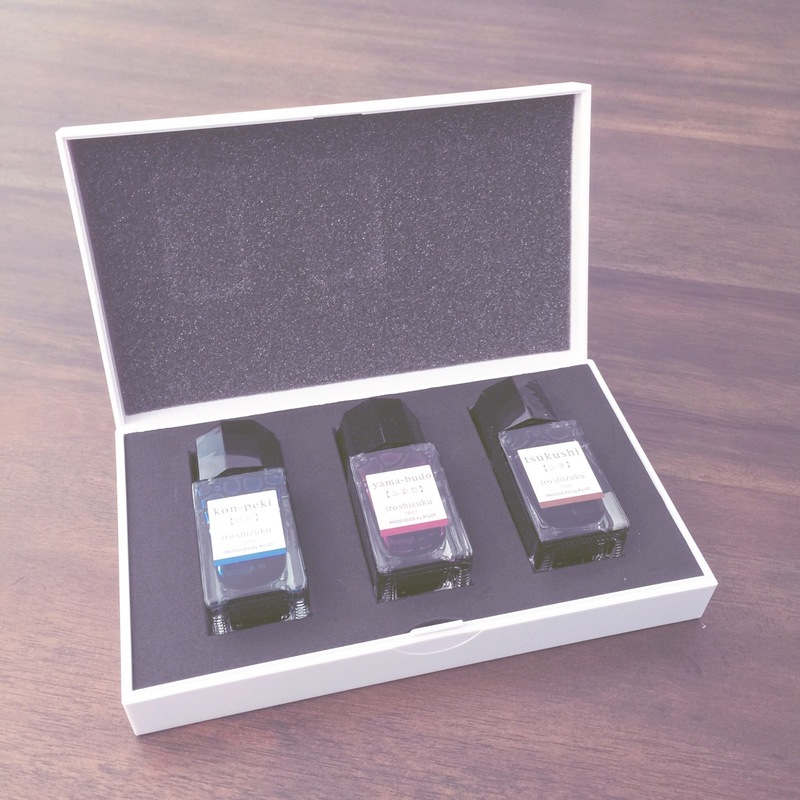 For the 45ml of ink we’re getting in this set, we’re paying $.71 per ml – and we’re getting three different inks – and we’re getting the fancy case. You’ll decide for yourself, of course, but I think this is a good value for the set and the money. 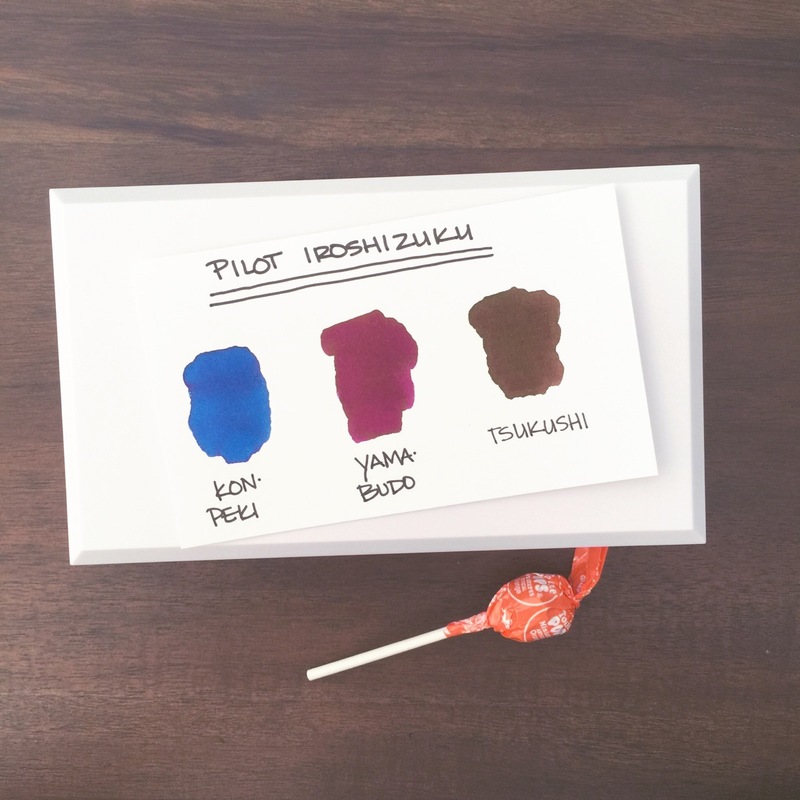 Everything Pilot Iroshizuku is high-quality and this set is no exception. If you love (or want to try) the colors or are looking for the perfect gift, this set is for you. I paid nothing for this set from Goulet Pens and the opinions are all mine, always.